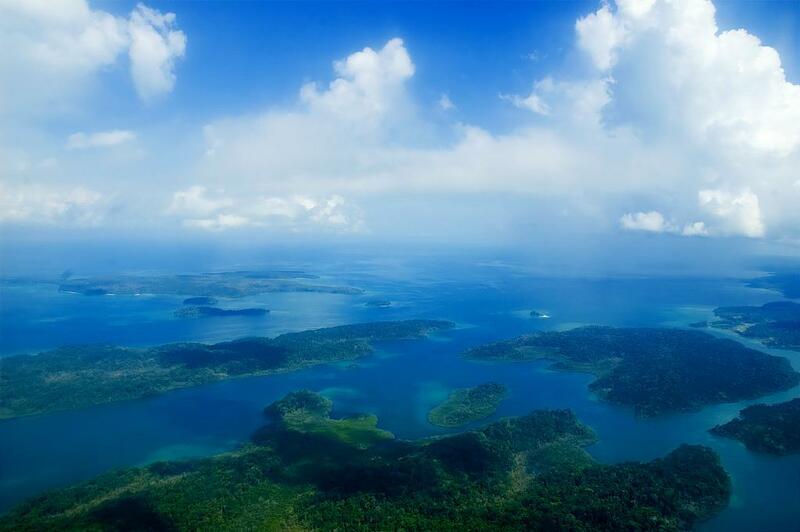 Planning a holiday in the Andaman Islands? Searching for tips including the major do's and don'ts for this holiday? Then you are in the right place. Read this article to know what precautions to take and what to pack and thus make the best of your trip. The article will be useful if you are taking the holiday with very small children or with teen or even with seniors. Andaman islands are well known for its many sandy beaches, inviting pristine blue waters, coral reefs and beautiful marine life. Many of its beaches have certified personnel to take care of when you swim, snorkel or dive. The waters appear safe but do contain some dangerous marine animals which may prey on people in order to protect their identity. Such incidences may be rare but cannot be neglected and hence it is imperative that tourists adhere to strict precautions to ensure a safe and wonderful holiday. Information about safety on beaches is available with Tourist Information Center, Local Tour Operators or the forest Department Staff. Identify whether a specific beach is safe by checking out the signboards. These indicate in case there are any potential dangers like crocodiles are sighted or some poisonous marine life around. 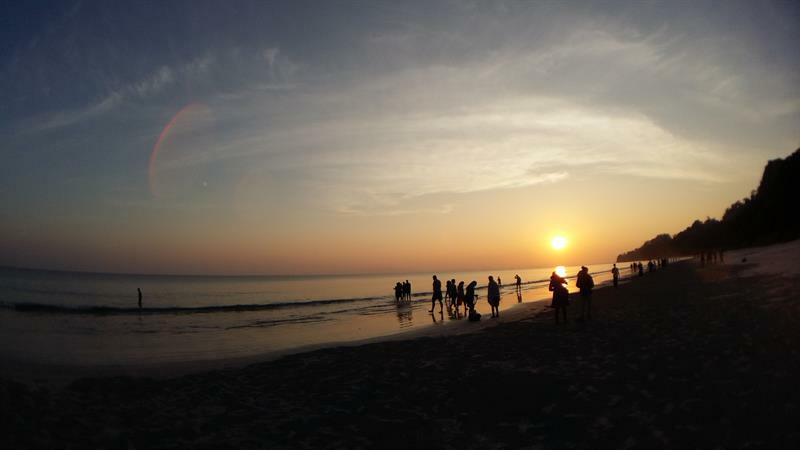 While on a beach, check out swimming conditions like intensity of local currents, depth along the beach, tides, visibility in dusk, and presence of marine life. Seek advice from life guard before venturing into any unpatrolled area. Supervise children on the beach at all times. Swim in areas where there are people around. In case there is any issue in the water raise your hand for help. Stay calm and poised and await help. Carry a torch if you are planning for a late evening walk. The skies get very dark and you never know who will cross your path. This is all the more dangerous on the beaches since they are backed by dense forests. Avoid a swim after dark. Avoid walking near the coral reefs. Check out the current at Radhanagar and other beaches. Accidents have been reported earlier in strong current. Listen to the instructions given by life guards who are always alert while being perched on the tall watch towers. Do not swim in protected areas where there may be presence of dangerous animals. In a boat ride avoid dangling your arms out into the water. Do not wear long chains (jewellery) and get into the water. It is quite easy for the chain to slip out into the water and will never be locatable. Wear light or nearly dull colored clothing. Since bright colored clothing may look like fish fins and thus attract predatory fishes. Just like don't drink and drive do not swim under the effect of drugs or alcohol. In case you have any open wound then do not attempt to get into the water, since many predatory fish are attracted by raw blood. Do not swim or dive near a shoal of fish, since the crowd may attract bigger predators like the sharks. Use thick sturdy sandals if you plan to walk in shallow waters. Jelly fish: Avoid touching or even playing with them because a sting may lead to pain and giddiness. If there is a sting then apply icepack. Sharks: these are abundant in the open sea and in the vicinity of coral reefs. Check with locals or tour guides and avoid diving/ swimming alone or with open wounds. Sea snake: Beware of snakes which have paddle like tail since they are venomous and can easily turn aggressive. Stone fish: As the name suggests, they are found rampant among shallow corals and sand and look like stones. They have paddle like tail. Veer away from them, lest they become aggressive if touched. Crocodiles: These are typically salt water ones, seen around in creeks, mangroves, and even sheltered waters. In most places, big notice boards are put up by the government authorities indicating whether it is safe from crocodiles. Check the notice boards before diving in these areas. However by chance you spot a crocodile, move away from the water and warn the authorities. Mosquitoes: Apart from the large marine animals coming on the beaches or coasts, do not forget the tiny mosquitoes. Being a tropical forest area, mosquitoes are rampant at dusk and after the rains. Did you know that the Islands are malarial? Remember to carry mosquito repellant like Odomos or Tortoise coils, or an electric bat to ward them off. It would be better to wear long sleeved clothing and long trousers in the evenings and use a mosquito net. Sandflies: On the beach, you will come across sandflies if you are sun bathing. Cover yourself well. Stray dogs: Keep stones/ sticks handy if you happen to walk on the beach at night. The local authorities are unable to manage them since they live in the forest adjacent to the beaches. 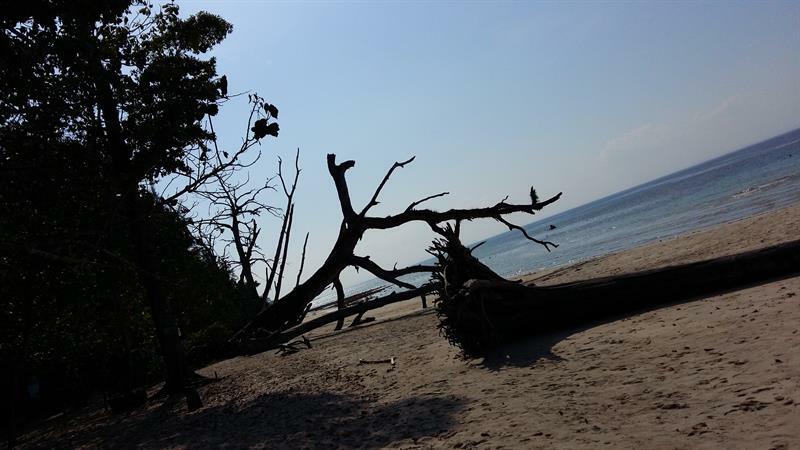 Corals: For example: Beaches #2, #3 and #5 in Radhanagar, Havelock have shallow waters but jagged bleached corals. Beware else you may get scratches on your feet. To sum up, a tourist may not always be lucky! So readers go through this article and decide what to pack and what to do or not do in the Andaman Islands and thus make your holiday a cherishable memory.